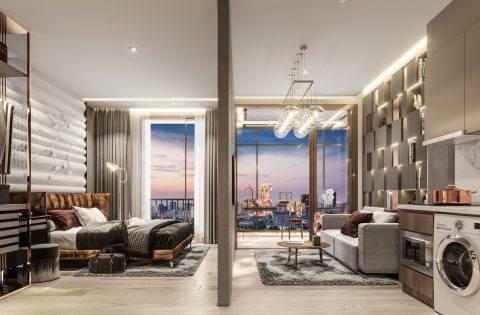 Bringing opulence and unparalleled luxury together in a combination that rivals Bangkok’s most exclusive residential developments, Rhythm Ekkamai Estate is unmatched in its attention to detail. 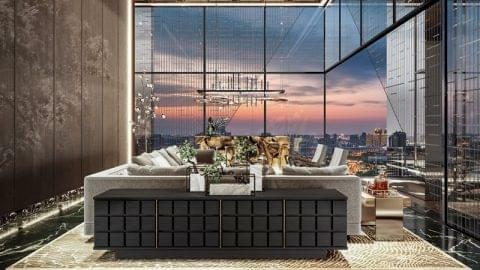 Owning this piece of Ekkamai’s most luxurious real estate is reserved for those with impeccable taste and a desire to embrace a highly indulgent lifestyle. 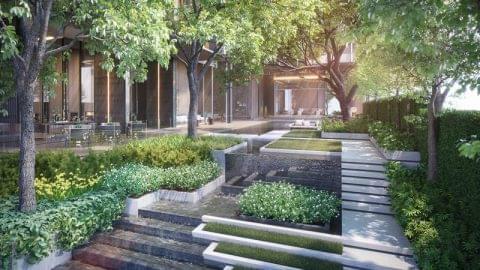 Whether it is the abundance of luxury amenities, the enviable location or the fact that this type of development is one of a kind, you would be challenged finding anything that comes even close to Rhythm Ekkamai Estate’s quality. 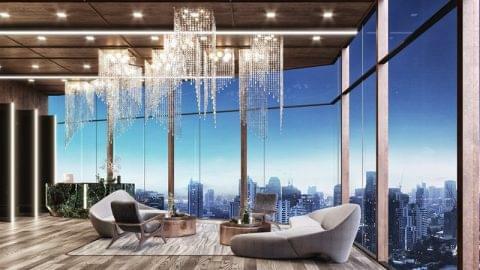 Exclusive residents can soak in all the elegance, by simply gazing at the grand display of the luxury lobby. Taking in the breathtaking view of the city from the sky lounge, before indulging in the sky fitness centers. For a more secluded relaxation session the sky wellness offers a spa, sauna and steam room. The most stunning features of this property will leave you in awe. Take a tip and bathe in Bangkok’s city lights in the infinity edged pool or invite guests to marvel at the grand design of the tea pavilion. Nothing is off limits from within Rhythm Ekkamai Estate! Be part of the beating heart of Bangkok’s most sought-after hipster hub. 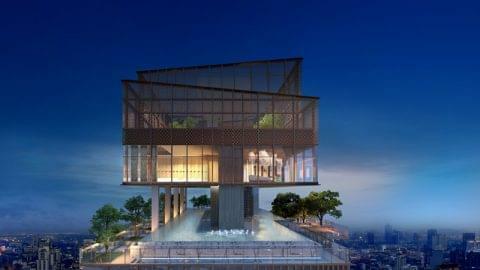 Ekkamai is currently rivaling its neighboring district, Thonglor, as one of the hottest neighborhoods along Sukhumvit. Without a doubt one of the most vibrant and unique areas, Ekkamai places an emphasis on leisure and breaths an atmosphere of serenity that is rare to find in modern Bangkok. Connected to the rest of the city via the Ekkamai BTS Station, the district holds true to its charming community and laid-back residential vibe. 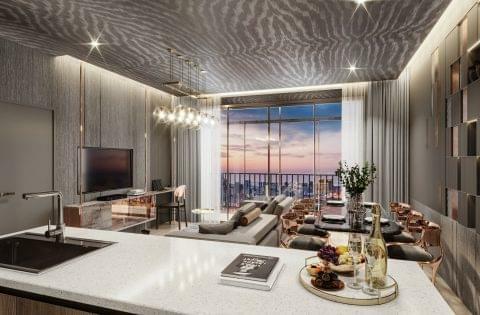 As you explore the streets surrounding your condo, the neighborhood provides a unique cultural scene with a vibrant variety of restaurants, eateries, bars and cafes to appeal to the taste of the sophisticated socialite. 1 Plus 1 40 Sq.M. 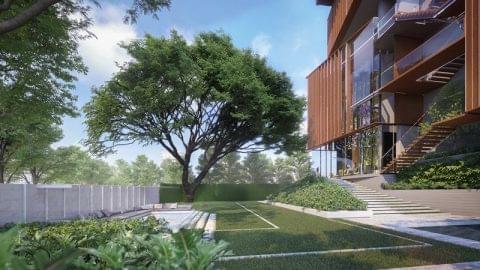 Hello, I found your condo for sale at RHYTHM Ekkamai Estate on FRESH Property (price price_replace). Is it still available? If yes, I would like to schedule a viewing. Thank you.